Now that the semester is in full swing I'm already starting to get down in the dumps. I was busy enough before classes started with my work, my blog, my club, and my life and now adding on classes, which should be my first priority, seems impossible. I'm really going to have to start working on my time management and my organization skills without over stressing myself. I'm also determined to make time for my social life. This is gonna be one hell of a semester and I'm going to try to stay positive instead of crying in a corner. BRING IT ON. Ooo looks like you had fun! 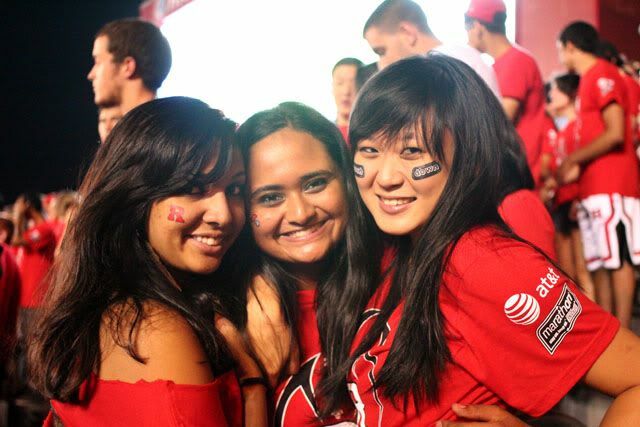 I love football games! We had our first one of the year last friday, and it was so great! You would probably look gorgeous in a potatoe sack too Jen! I love these photos! 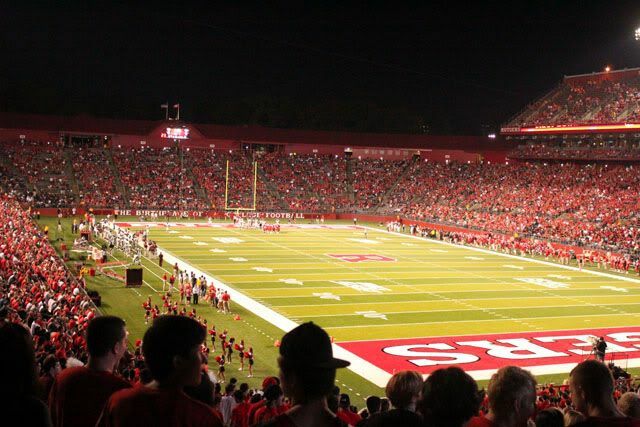 It's kind of surreal I'll be there at Rutgers TOMORROW! aww your school seems so fun! You guys look so cute. I wish my school had a good football team! look amazing on 1st pict! goodluck for your semester. bet it will be a very huge and lovely one! 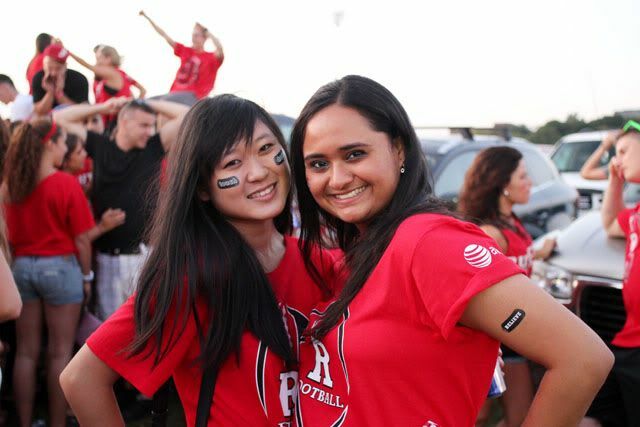 That's awesome that you go to Rutgers :) I know so many people that go there! Looks like you had so much fun. Hey! 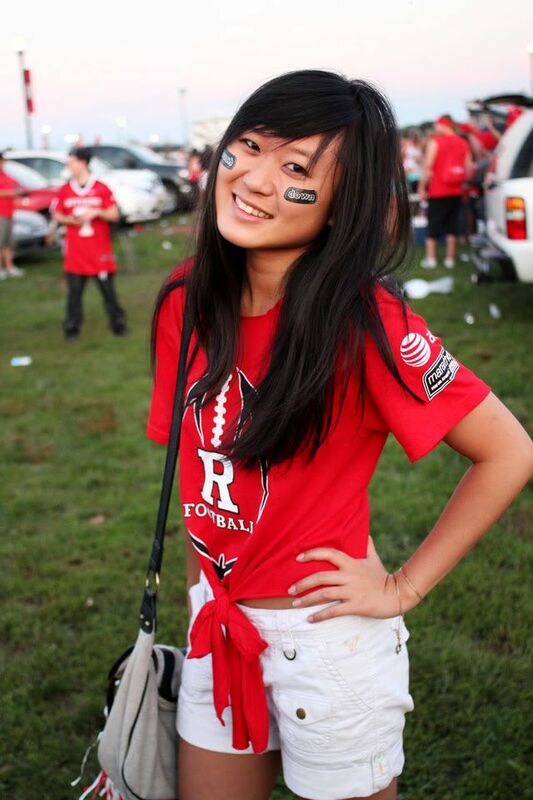 =) You go to Rutgers?! So do I! 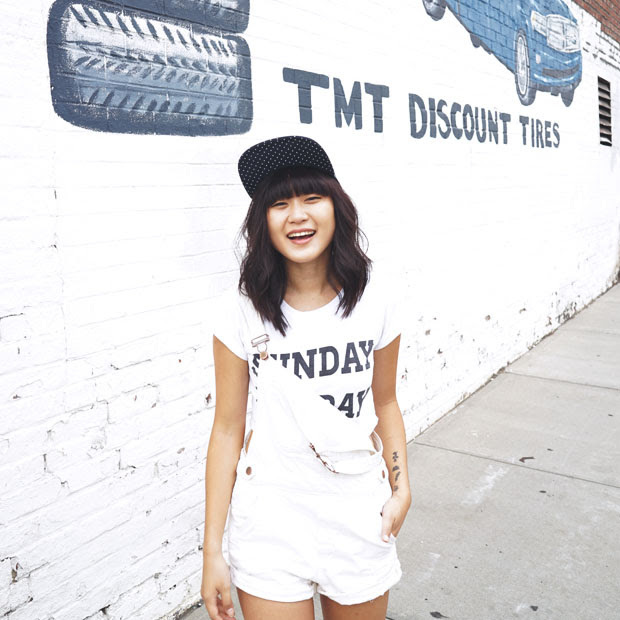 I can't believe I just discovered your blog now, haha. You have such a quite blog!